The ST-16 is designed to provide remanufacturers and OEM manufacturers with fast accurate and detailed test of the starters. Thank you for your interest in the ST-16. Please fill out the form below so we can send you the brochure. Thank you for your interest in the ST-16. Your request has been submitted to our sales department, and we will get back to you soon. 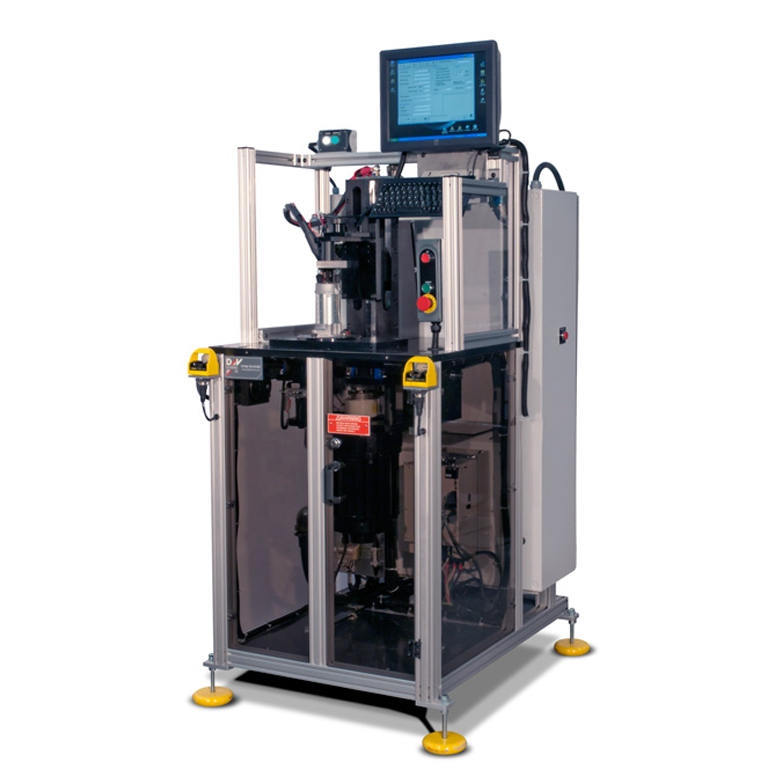 Designed for precise testing for high volume applications at the touch of a button. Solenoid timing is measured on the unit which allows the machine to detect problems related to out of specification components or faulty assembling. During the test, the ST-16 recognizes automatically the starter rotation direction and applies a programmable load. The mechanical energy produced from the starter is returned back to the power supply to reduce power consumption. The performance curve is scanned in at a set of programmable points. After the load test the machine simulates engine start up and measures the drive disengage function. The ST-16 can scan a full performance curve on the starter in less than 5 seconds which increases the accuracy and decreases result variation caused by temperature. This testing system has built in separate power supplies for the starter and for the solenoid. This way the solenoid functions can be tested at a programmable reduced voltage during the test. Solenoid voltage drop is monitored during the “all test” procedure to ensure the contact system is working reliably. The ST-16 provides a precise waveform analysis for accurate armature and commutator diagnostics. The output ripple can be monitored on the built in oscilloscope with automatic adjustments. After the test the results are checked to preset limits and output report is generated. The set of starter performance curves is displayed on the screen. The machine can control up to two printers generating different programmable reports with performance curves and scope patterns. Bar codes and serial numbers can be automatically generated too. A flat touch screen colour monitor and Windows® control software is included to enhance the user interface.